Comments: A half-folio with particularly fine lithography. 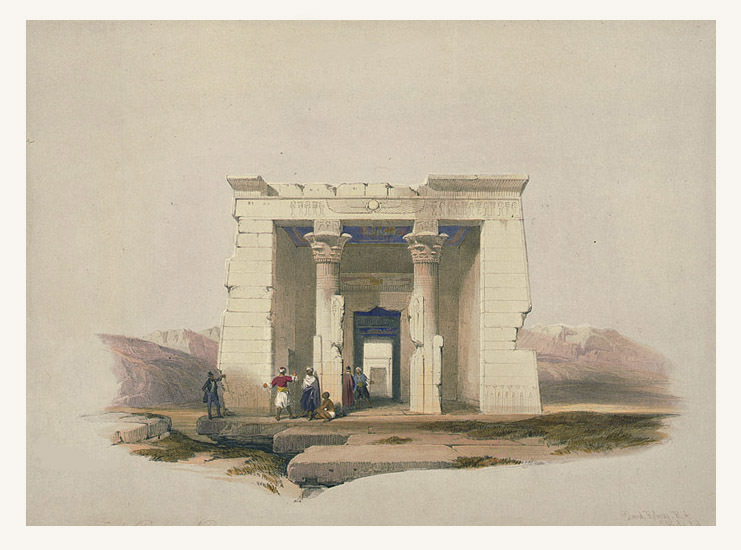 In gratitude for its financial assistance in relocating the monuments threatened by the rising waters of Lake Nasser, this temple was given by Egypt to the United States and is now reconstructed in a special room of the Metropolitan Museum of Art in New York. Price: $375 uncolored, $450 colored. Title: Temple of Dandour, Nubia. Condition: Excellent. With accompanying text below the image and on verso. Image: 10 1/8" x 13 13/16"